We offer a complete solution for your application including development, engineering, manufacturing, service, overhaul and testing of turbochargers in our own test cell. Our range of turbochargers covers engines with a power output between 740kW and 4200 kW with a single turbo installation. The design is well proven and successful with a large operating population running in a diverse range of applications. All rotating parts are individually balanced and can be replaced separately if needed, they have a compact design with relatively low weight for fast response performance. The, turbine wheels is of the axial type. All variants have internal plain bearings that use lubrication oil from the engine. 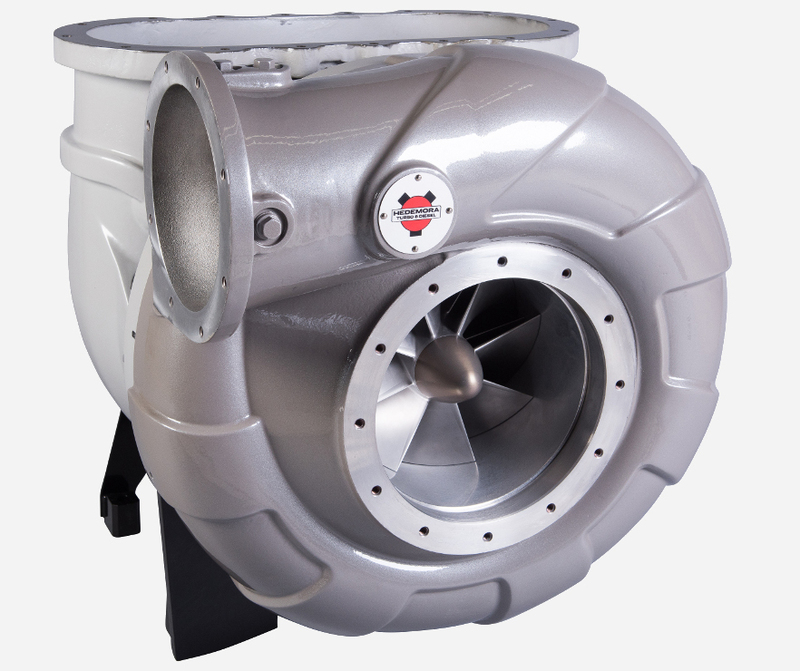 This gives better accessibility to the compressor and turbine wheel and allows for the smaller design of the turbocharger. The matching possibilities are huge thanks to a big range of compressor-/turbine wheel sizes and nozzle/diffusor types. Single and double compressor volutes are available, with plain or anti surge air inlets. There are also many different gas intakes available with one to four inlets. Our turbochargers is certified by Russian Maritime Register of shipping and Türk Loydu. Compact design gives lower weight compared to performance. Proven technology and easy maintenance possible to perform with standard tools on site, only need for two simple special tools.